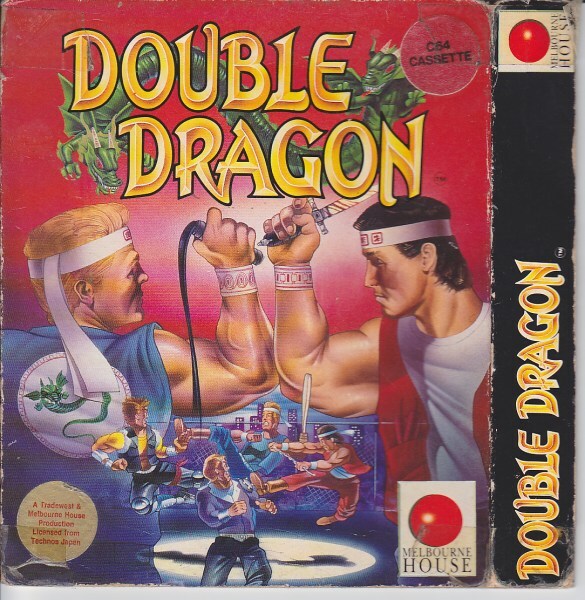 What’s Double Dragon? | Something Odd! It was with amazement I read that question on the hupit forum a while back. What? You’ve never heard of Double Dragon? Arcade beat ’em up from the late 80’s? Double Dragon was only one of the most anticipated arcade conversions of 1989. A two player beat ’em up, heroes (Billy and Jimmy Lee) fighting against hoards of baddies to rescue Billy’s girlfriend. Of course, when it finally hit the C64 it was a less than stellar conversion. All the moves were in there but there was this annoying gap in the torso of each character. The programmers even added a note in the game manual about it! The Spectrum conversion (despite the awful colours) was better than the C64 I reckon. But kids nowadays think that unless it was on MTV it never happened, and stuff happened before last Tuesday? What? Are you crazy!? And a scan from your own copy from the C64…. wow! You never cease to amaze me. LOL, I have a small box of C64 releases I’d like to scan or post photos of, for posterity if nothing else. Doubtful it’s of much interest to most people these days. I remember this game but on the Sega Mega Drive 16bit. I also had a C64 and got it for Christmas, which was the best one ever. It would take 30 minutes sometimes to load and some times it did work but that was the fun of them machines back then when I look back. How things have change. I seem to recall a short-lived animated series that this spawned, as well -maybe, even, a movie.